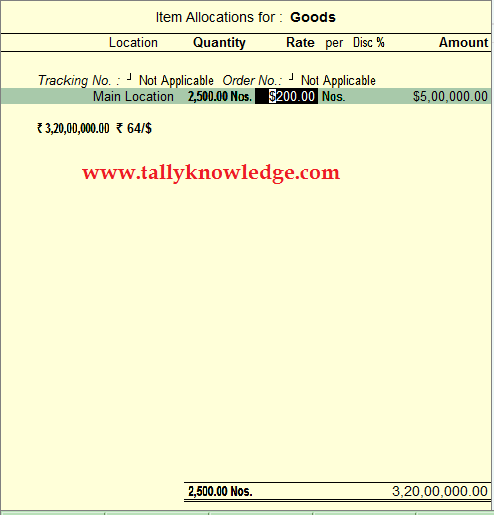 Home / GST-Tally / How to Enter Import Purchase in Tally with Foreign Currency? 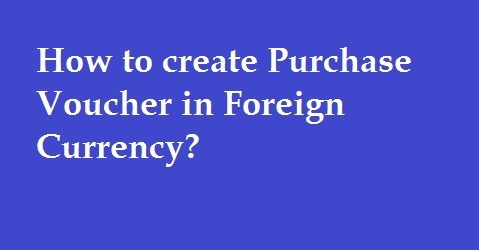 How to Enter Import Purchase in Tally with Foreign Currency? In our previous post we discuss about How to use multi currency in Tally? In this post we know about how to Enter a Import purchase voucher with foreign currency and getting result in INR. Remember, Conversion of Multi currency to INR only showing in Accounts with Inventory. Go to Gateway of Tally - Accounting Voucher - Purchase (F9) Enter Invoice No. Invoice Date, Supplier Name, Purchase Ledger and Stock Item. When you select stock item System will ask you to Enter Stock Allocation details. In above image you can see our Example is fulfill. Press Enter or Ctrl+A to Save the voucher. Now go to ledger account of Creditor and you can see the entry will be passed in INR not in USD. You can also charge IGST in your voucher entry if import is taxable.